Beautiful 4-color stack logo poster, 25″ x 37″. 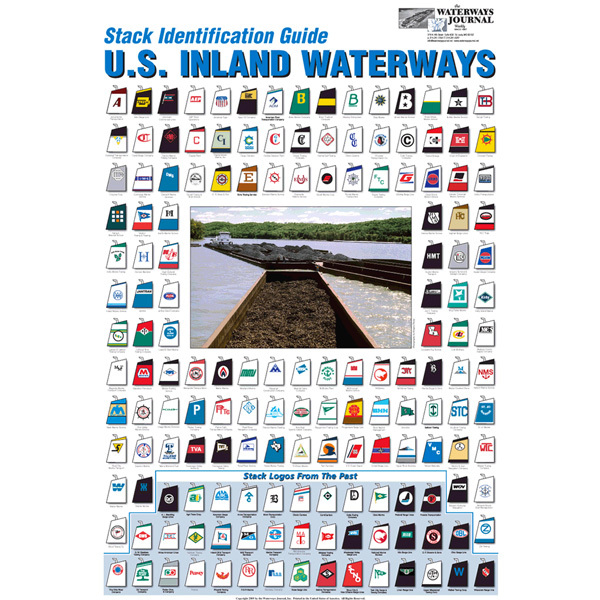 One-of-a-kind poster displays towboat stack logos in vibrant color. More than 120 current stack logos depicted, plus 35 classic logos from the past. Perfect gift for customers, office employees, boat crews. Handsome ornament for office or den. Printed on high-quality paper. Available for immediate shipment.